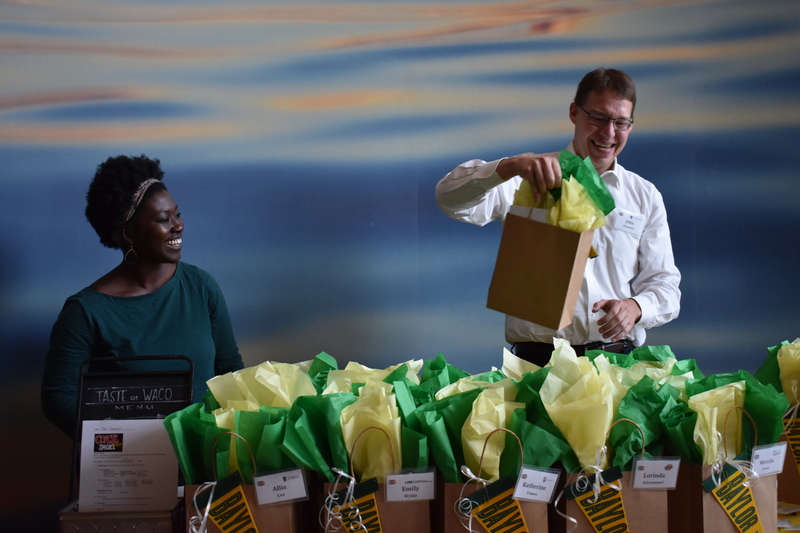 Baylor University served as the host of the 2018 Organizational Development Consortium (ODC) Conference as attendees congregated deep in the heart of Texas. 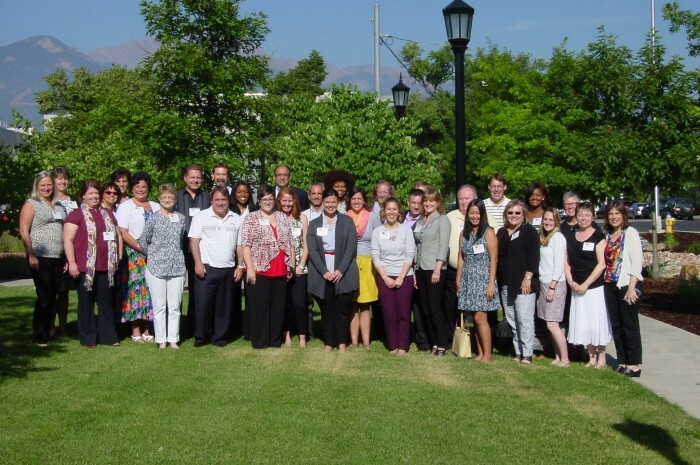 39 attendees from 29 institutions of higher education from across the United States gathered in Waco, Texas from May 21st through 23rd to network and share best practices regarding organizational development, professional development, learning, training, and coaching. The conference began with a welcome reception and dinner with a wonderful view of the beautiful Baylor campus and the Waco skyline. Tami Nutt, Baylor’s Manager of Employee Experience and Engagement, provided insightful comments about Waco’s history and the origins of Baylor University which offered a depth of understanding about the host institution and our home for the next few days. Tuesday found the group at the elegant McMullen-Connally Faculty Center and began with networking time and a review of ODC history, objectives, and aspirations. The group was fortunate to be joined by Cheryl Gochis, Vice President of Human Resources at Baylor University, who offered words and welcome and provided a glimpse into her strategic plan for HR at Baylor. 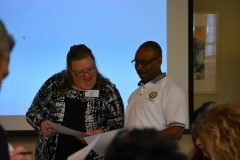 The first session presenters were Susan Coan and Emily Wykle from the University of Alabama at Birmingham. Their session, Moving from “Them” to “Us”: Lessons from Lead UAB, provided a look back and overview of their leadership development program and ended with an interactive, forward-looking activity that gathered feedback and ideas from knowledgeable conference attendees. The short, fast-paced sessions were an exciting deviation from longer sessions and were made even more engaging by Mary Stall (Southern Methodist University) who made intricate visualizations of each ignite session in real time. Future ODC events will definitely feature the sessions in this format. The afternoon concluded with Mark Trommer from the University of Arizona discussing how they have turned yearly performance reviews into career conversations that focus on significant accomplishments, key strengths, and plans for the future. 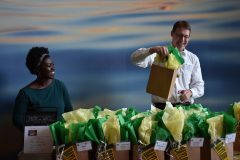 Attendees returned to the hotel before being let loose in downtown Waco for group dinners that allowed for further networking and relationship-building. Wednesday began with a keynote from Baylor University’s President, Dr. Linda Livingstone. She spoke to her professional background, the mission of Baylor, and the direction of higher education more broadly. Breakfast (burritos, of course) was followed by a session by Texas Christian University colleagues: Rachelle Blackwell, Whitnee Boyd, Leigh Holland, and Aisha Torrey-Sawyer. Their session, Breathing Room: Fostering an Environment of Inclusion, spoke to their work in creating space for affinity groups on their campus that focus on various dimensions of wellness. Many thanks to Broc Edwards, Tami Nutt, Drexel King, Nathan Sifers and the entire Baylor University Human Resources team for being warm and hospitable hosts and for organizing a fantastic event. Also, thanks to all of the conference attendees who were constantly engaged in the content and the spirit of this event. 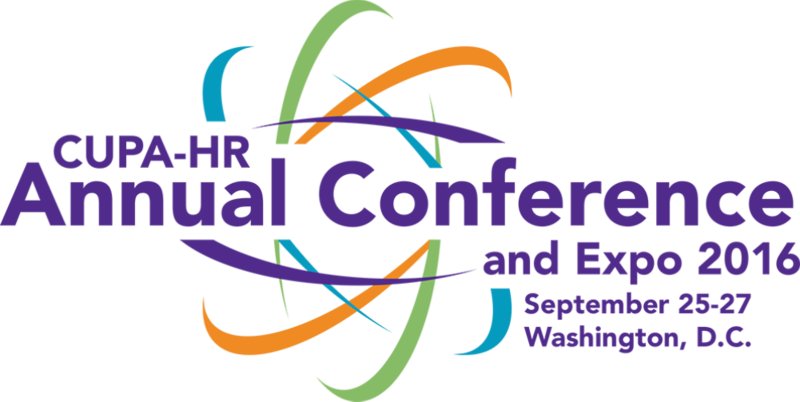 The 2019 Organizational Development Consortium Conference will be held June 11th through 13th at Wake Forest University in Winston-Salem, NC. During a recognition luncheon on March 2, 13 members of the Wake Forest community were presented with plaques honoring their completion of the CORE program. Colleagues and supervisors were in attendance to help congratulate the honorees. This year’s plaques were made from reclaimed wood from an oak tree that stood on the grounds of the President’s Home. 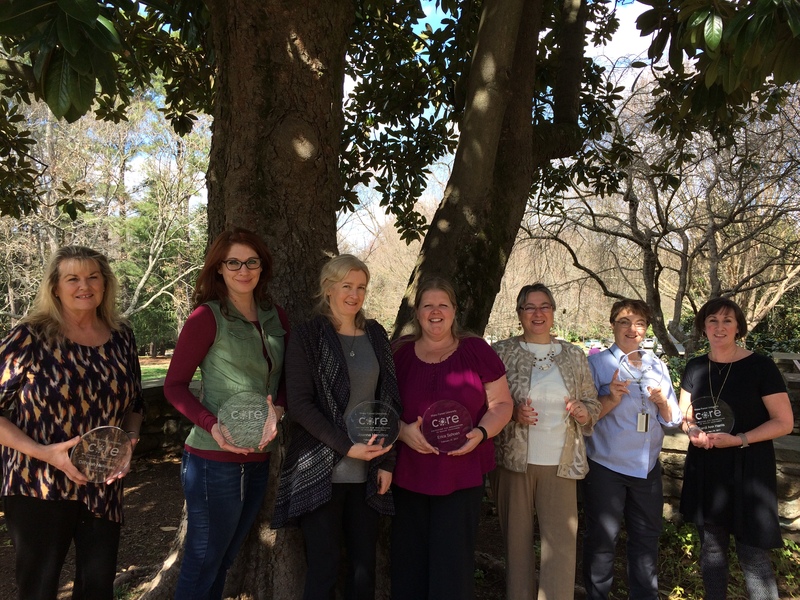 Many thanks to the Facilities and Campus Services Construction Team for making these unique and special awards! CORE, which stands for “Cultivating our Organization to Realize Excellence,” was launched in September of 2011. CORE is built around 5 competencies that are meaningful and relevant to our campus: communication, community, leadership, organizational acumen, and personal progression. 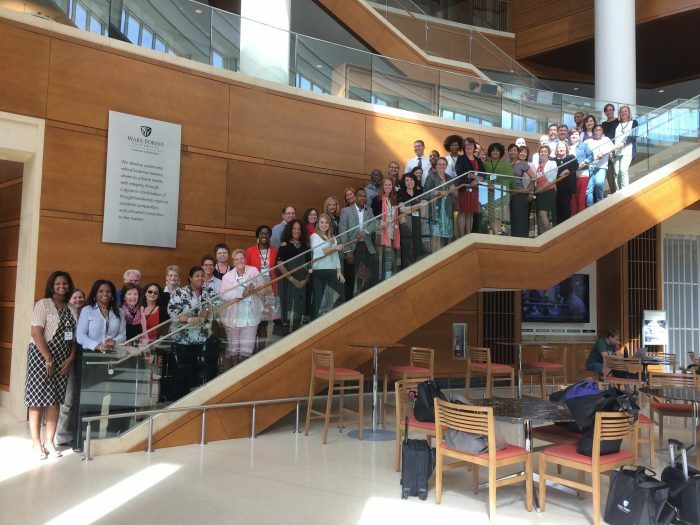 The 2017 Organizational Development Consortium (ODC) Conference welcomed a record number of attendees at its annual gathering hosted by Wake Forest University. 48 representatives from 36 institutions of higher education across the United States met from June 5th through 7th to network and share best practices regarding organizational development, professional development, learning, training, and coaching. 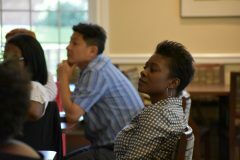 Attendees were bright-eyed and eager to get started on Tuesday morning. John Champlin, Assistant Director of Wake Forest University’s Professional Development Center, welcomed the group and offered a history of the conference and the goals and objectives of the ODC. Shannon Seales from the University of Denver then took the floor to offer insight into her efforts to deliver an onboarding experience that is focused on engagement and retention of new employees. The morning closed with a presentation from Bucknell University’s Lisa Adams-Verge and WFU’s John Champlin as they recounted their collaboration in designing and building a supervisor training that would prove useful on both campuses. 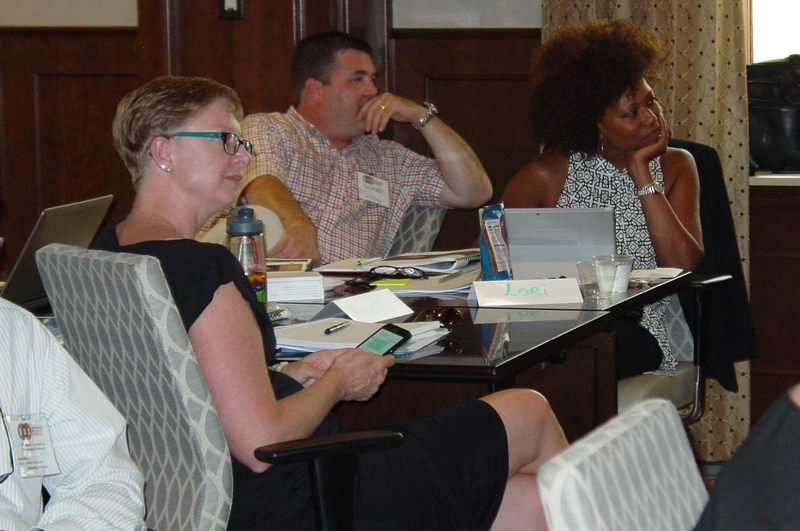 As their session concluded, attendees found collaboration partners in the room based on upcoming projects. After lunch, Shemika Bell introduced and explained the three modules that make up Wake Technical Community College’s Leadership Program. A rousing round of Speed Networking facilitated by Elizabeth Dam-Regier of the WFU’s Human Resources Project Office allowed attendees to get to know each other while introducing a fun and easy icebreaker. Gail Napora lead a session that provided information about how James Madison University has recruited, developed, empowered, and rewarded 148 volunteer facilitators. An assessments panel moderated by Melissa Clodfelter of Wake Forest University closed day one. The panelists, Allie Cox, University of Georgia; Carrie Herrig, University of North Dakota; Nathan Strong, University of South Carolina; and Sherry Wright of Washington and Lee University, each spoke to an assessment that they frequently use on their campus for organizational and leadership development purposes. Wednesday began with a session from Shayla Herndon-Edmunds from Wake Forest University’s Office of Diversity and Inclusion. 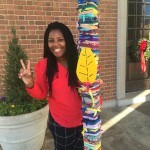 Shayla detailed WFU’s efforts to deepen intercultural understanding in the faculty and staff population. The group participated in an activity that simulates communicating through layers before ending the main part of the conference with a large group Roundtable Discussion. 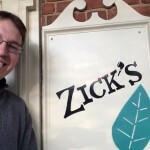 Topics covered in the discussion included marketing learning events, learning management systems, innovation in leadership development programs, integrating improvisation techniques in workshops, and more. After lunch, some attendees participated in an optional debrief of the FourSight Assessment. FourSight is a tool used at Wake Forest to help individuals and teams identify their creativity and problem-solving preferences. FourSight generously donated the assessments for this event. 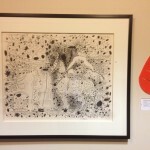 Learn more about how WFU uses FourSight here. 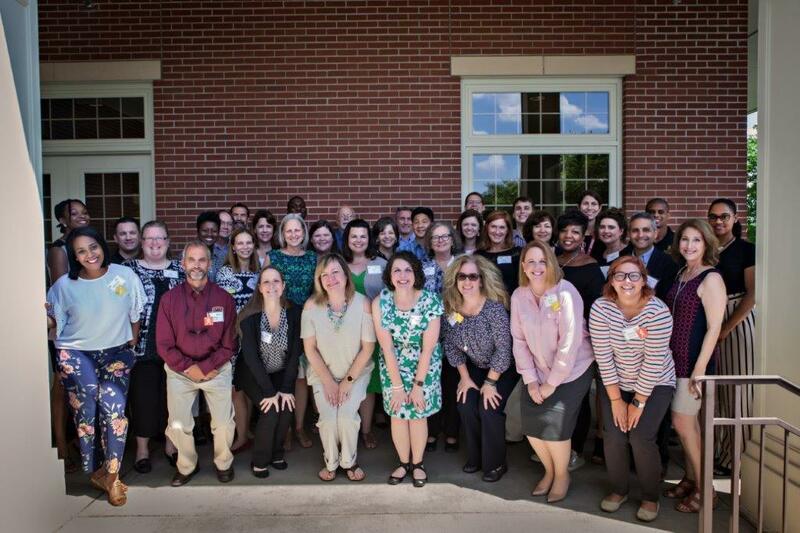 The Professional Development Center Team at Wake Forest University extends its deepest appreciation to our presenters and participants for the energy and enthusiasm they brought to this event. The 2018 Organizational Development Consortium Conference will be held May 21-23 on the campus of Baylor University in Waco, Texas. The 2016-2017 Leadership Development Program (LDP) Cohort completed their Capstone Presentation culminating the nine month curriculum that included developmental sessions, assessments, individual coaching, and collaboration across campus. 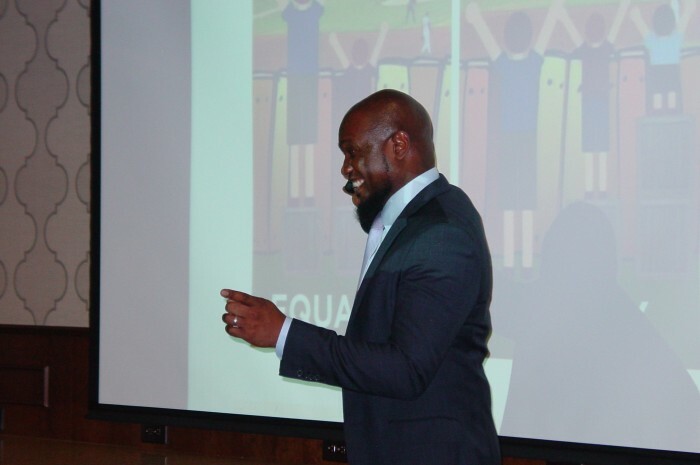 The 18 member cohort presented the findings of their capstone research at a gathering of university leaders on the campus of the Crossnore School and Children’s Home. 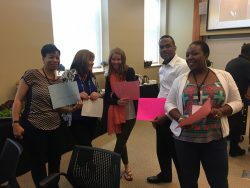 Members of the cohort engaged in asset mapping of community engagement activities across the Reynolda Campus, with the goal of informing and complementing the Pro Humanitate Institute’s efforts and providing context for community engagement projects, initiatives, and/or task forces now and in the future. Congratulations to the 2016-2017 Leadership Development Program Cohort! 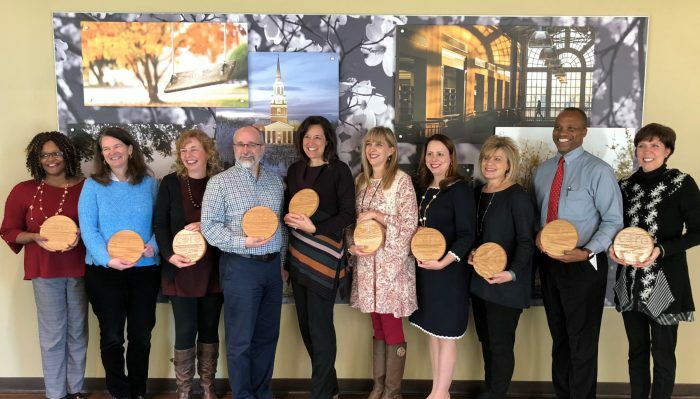 During a recognition luncheon on February 24, 8 members of the Wake Forest community were presented with plaques honoring their completion of the CORE program. Colleagues and supervisors were in attendance to help congratulate the honorees. 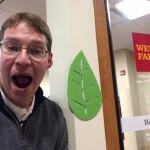 CORE, which stands for “Cultivating our Organization to Realize Excellence,” was launched in September of 2011 as an outcome of the climate survey to offer more sustained developmental options for faculty and staff on campus. CORE is built around 5 competencies that are meaningful and relevant to our campus: communication, community, leadership, organizational acumen, and personal progression. Dr. Melissa Clodfelter, Director of the Professional Development Center, and John Champlin, Assistant Director of the Professional Development Center presented during a concurrent session at the 2016 CUPA-HR National Conference held in Washington, D.C. September 25-27. Their session, “Engaging the Liberal Arts in Leadership Development,” spoke to innovative development opportunities for Wake Forest University leaders. 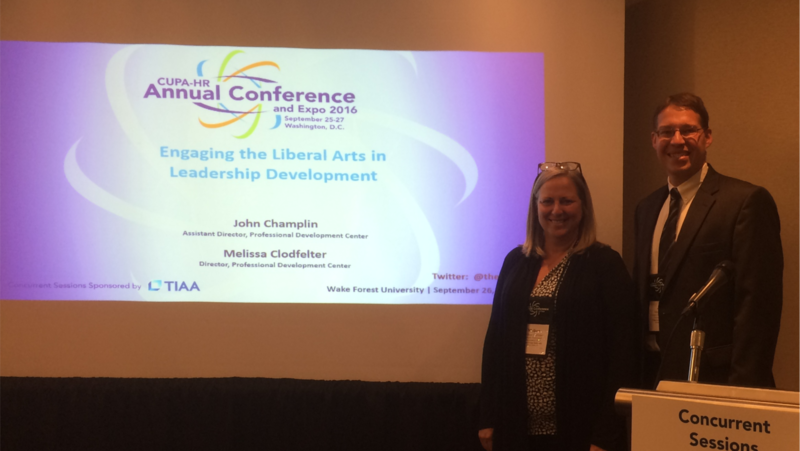 Melissa described the Liberal Arts and Engaged Leadership series, a set of four events that offered liberal arts-driven perspectives on leadership. John described Human Resources’ Leadership Summit and its creative approach to assembling and developing top University leadership. The sessions attendees, many of them liberal arts graduates or representing liberal arts institutions, were intrigued and engaged. 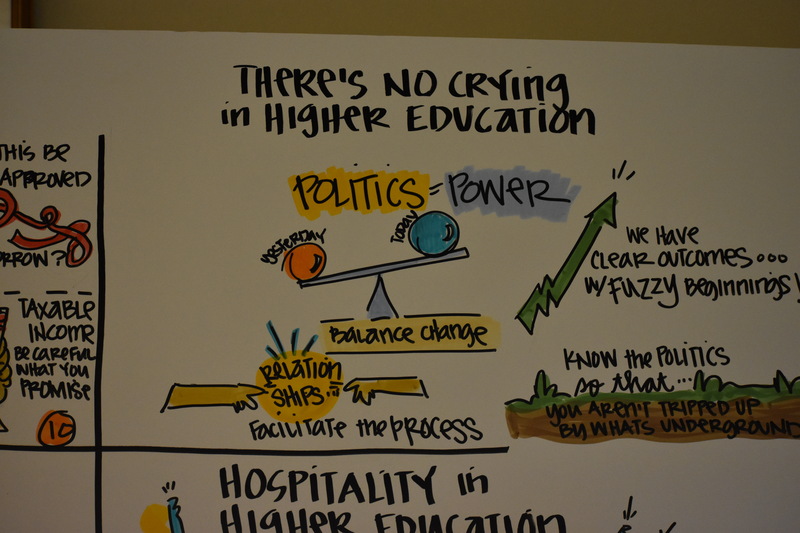 For the first time in the history of the Organizational Development Consortium (ODC), the annual conference left the campus of Wake Forest University and arrived at the foot of Pike’s Peak at beautiful Colorado College in Colorado Springs, Colorado. This begins a rotational model that will take the conference to new campuses on even-numbered years. Wake Forest will continue to host the event on odd-number years. Attendees were welcomed by conference organizers during a reception on Sunday evening. Mingling and networking began as new and returning conference goers interacted. Excitement grew for the days to come. Monday morning began with a salutation from Colorado College’s Director of Human Resources, Barbara Wilson. She then introduced event’s keynote speaker Dr. Jill Tiefenthaler, Colorado College President. 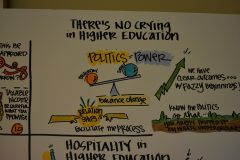 Dr. Tiefenthaler powerfully spoke to the importance of professional development in Higher Education. She outlined her efforts as Colorado College President to ensure that faculty and staff on her campus were nurtured and offered opportunities to better themselves. The emphasized the importance of partnering with leadership and the critical nature of dynamic events and programs to keep engagement high. 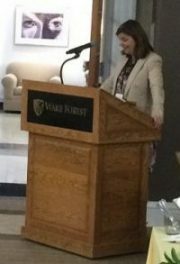 Dr. Tiefenthaler previously served as Provost at Wake Forest University and was pivotal in the creation of the Professional Development Center. John Champlin, of Wake Forest University’s Professional Development Center, offered a brief review of the mission of the ODC and the history of the conference, now in it’s 6th year. Afterward, the People Development team from Denver University presented on their people development program based on the Colorado 14ers (peaks in Colorado that are at least 14,000 feet above sea level). The breadth and depth of the offering impressed and inspired many in attendance. 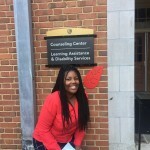 Following lunch and a campus tour, Dr. Melissa Clodfelter, Director of the Professional Development Center at Wake Forest University, offered a model of using coaching to benefit organizational inclusiveness. 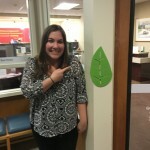 She demonstrated how coaching, a growing service on campuses, can be a gentle catalyst for inclusion and social justice. Melissa was followed by Dr. Paul Buckley who leads several of Colorado College’s diversity and inclusion initiatives for faculty, staff, and students. Dr. Buckley, Assistance Vice President and Director of the Butler Center, provided context to their workshops around D&I and offered a simulation to those in attendance. To close the day, a panel of representatives from Colorado College and Wake Forest University spoke to lessons learned from recent launches of campus-wide professional development programs. Attendees then informally gathered and networked over dinner in downtown Colorado Springs. Tuesday’s sessions began with Jillian Gonzales from the University of Mexico discussed how she uses Motivational Interviewing in her work to enhance staff engagement. Motivational Interviewing is a tool the focuses on client-centered conversations that can generate deeper levels of understanding and support. The final conference session featured Allie Cox from the University of Georgia and Andy Lang from the University of North Carolina at Chapel Hill. 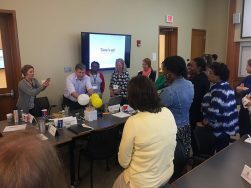 They provided insight into how the UGA Training and Development team partnered with graduate students in the UGA College of Education to develop effective evaluation techniques for a leadership development program. The conference concluded with the much-beloved Roundtable Q&A with topics covering assessments, Learning Management Systems, fees for workshops, faculty development opportunities, program evaluation, and much more. Many thanks for the Jessica Bridge and Lisa Brommer for Colorado College for planning a wonderful event. Additionally, thanks are owed to all of the fantastic presenters and every attendee. Your participation and spirit make this event special every year. The 7th Annual Organizational Development Consortium Conference will be held May 21-23, 2017 on the campus of Wake Forest University. 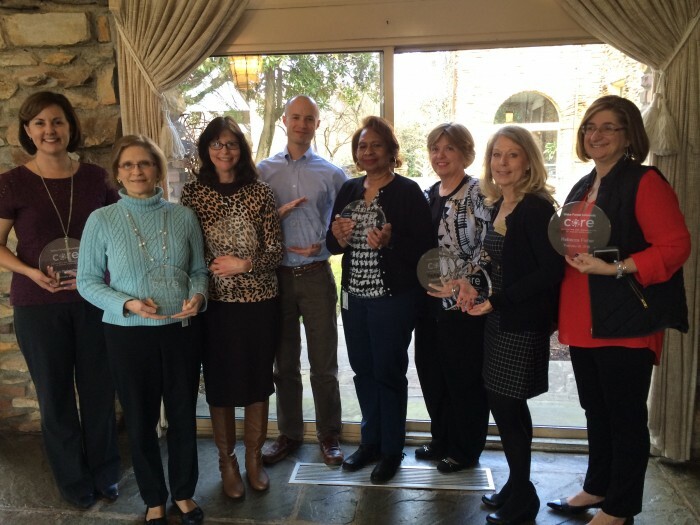 During a ceremony at Graylyn International Conference Center on Friday, February 26th, 11 members of the Wake Forest University faculty and staff community were recognized for completing their CORE certification. Guests and supervisors looked on as each honoree received their CORE plaque to rousing applause. Members of the Professional Development Center and Wake Forest University Chief Human Resources Office, Carmen Canales, recently completed a certification granting them permission to issue and debrief the FourSight Thinking Profile assessment. 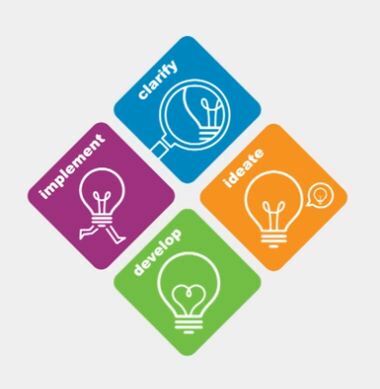 The assessment determines an individual’s preferences among the four-step innovation process. 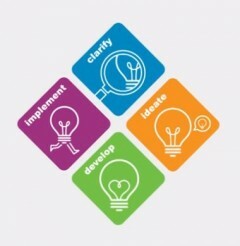 The four steps in FourSight’s innovation process are: clarify, ideate, develop, and implement. The assessment is simple and can be completed in less than 10 minutes. Debriefing sessions can be done for individuals or teams. These sessions explore the four steps in the process as well as the many different combinations of preferences. 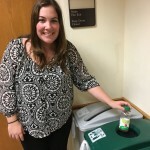 As our University community is encouraged to drive innovation, this tool is a fantastic new addition for individuals and departments to heighten their awareness for where their preferences lie. The tool and its related skill sets help support creative thinking, collaborative problem-solving, and cultures of innovation. 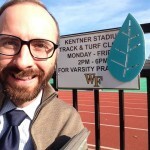 For more information about the assessment, please contact John Champlin at chamjj@wfu.edu. Wake Forest University’s Professional Development Center partnered with the Association for Talent Development to celebrate Professional Development Emphasis Week December 7-11. The planning committee organized class room and online learning opportunities to fit five themed days: Mindful Monday, Tech Tuesday, Work Tools Wednesday, Thrive Thursday, and Fun Friday. The goal of the week was to inform and energize our campus community around professional development and learning. As an institute of higher education, it’s critically important that we offer opportunities for our faculty and staff to grow personally and professionally. Highlights of the week included faculty-led workshops on “The Practice of Mindfulness” and “Humor and Your Health.” Additionally, the Professional Development Center utilized social media (#PDEWFU15) to promote the week’s events and to collect entries for a wellbeing-themed photo scavenger hunt. Staff members Shannon Ashford and Michele Kurtz of the Office of the Dean of Students won Thrive gift gags for completing the scavenger hunt’s 8 required tasks. Many thanks to all of the facilitators and attendees for participating this week and throughout the year!